Wash peel and thinly slice zucchini length wise. (I cut the zucchini in half, it makes it easier to work with) If you have a mandolin slicer, that works great. Heat oil in large skillet, salting and lightly browning zucchini slices on both sides about 1- 2 minutes per side. 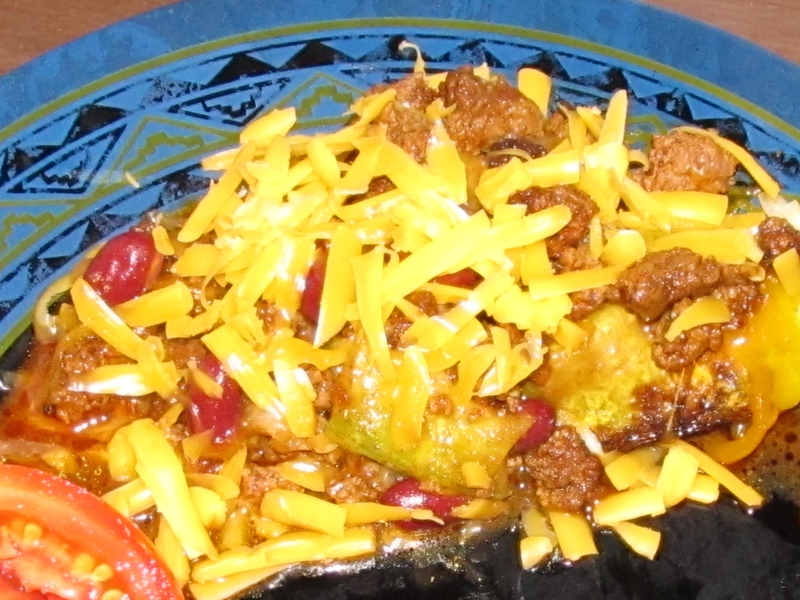 In another skillet add chopped onions, ground beef, taco seasoning and chili seasoning. On medium high heat stir and separate meat into smaller pieces until meat is cooked through and no longer pink. Preheat oven to 375*F.
Starting with meat mixture in a 9×13 inch baking pan, layer meat, squash, and beans, ending with meat on top. Bake for 15- 20 minutes or until cooked through and bubbling. Top with cheese and serve. Add a can or small bag of corn. You may also use other types of squash. Also you can use black beans, or brown beans instead of kidney beans.